When you choose an optometrist to care for your vision and eye health, you need someone who does much more than sell you glasses. You need a compassionate, highly qualified eye doctor who will examine and treat your eyes for long-lasting, quality vision. You need an optometrist you can trust will help you optimize the benefits of healthy vision. 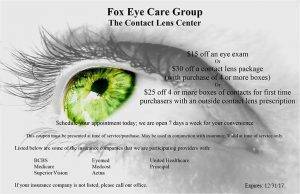 At Fox Eye Care Group, our team of optometrists will satisfy all your vision and ocular health requirements. We provide a total range of eye care services, from the basics, such as vision prescriptions, to more complex therapies, such as advanced management of eye disease. Our office is equipped with cutting-edge diagnostics and technologies, so you can trust that your diagnoses and treatments are as precise as can be. Every eye doctor in our Greensboro and Winston Salem eye care clinics brings top-notch credentials and unique specialties. No matter what eye or vision condition you have, we have an optometrist with the specialized expertise to provide effective treatment. Our team is experienced and knowledgeable about a full range of conditions, so you will always receive superior care for your optical and medical needs. We know that the unexpected happens, which is why our optometrists are available seven days a week, with patient hours from morning through evening. When you have a vision problem, you will be able to reach us easily. No matter what you need – routine eye exam, new eyeglasses, new contact lenses, urgent ocular care, and treatment for eye disease – we are here to help! 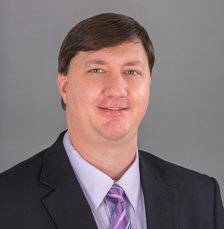 Dr. Darren Hilburn is originally from Lumberton, North Carolina. He completed his undergraduate degree from the University of North Carolina at Chapel Hill and his Doctor of Optometry degree from Southern College of Optometry in Memphis, Tennessee. Dr. Hilburn is a member of the American Optometric Association and the North Carolina State Optometric Society. 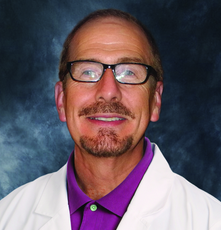 Dr. Hilburn also serves as a clinical board examiner for the National Board of Examiners in Optometry. Dr. Hilburn has years of experience in treating Diabetic eye disease, Macular Degeneration, Glaucoma disorders, Pediatric care, and Refractive/Cataract Surgery co-management. He loves sports and the outdoors. Dr. Hilburn and his wife are blessed with two boys who definitely help keep life interesting outside the office. 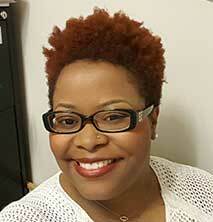 Dr. Keisha Smith is a native of Kinston, NC. She obtained her Bachelor of Science Degree in Biology from North Carolina Agricultural and Technical State University in 1997. She furthered her education at the Pennsylvania College of Optometry, now a part of Salus University, in Elkins Park, PA with a Bachelors Degree in Optometry in 2001 and a Doctorate Degree in Optometry in 2004. William Hefner VA Hospital in Salisbury, NC was the site of her optometric residency funded through the Southern College of Optometry in Memphis, TN. She obtained this graduate residency status in 2005. Dr. Smith currently loves dancing, reading, and socializing with positive people. She is a member of the American Optometric Association.